These ornate stair railings are from a turn of the century New York City brownstone. 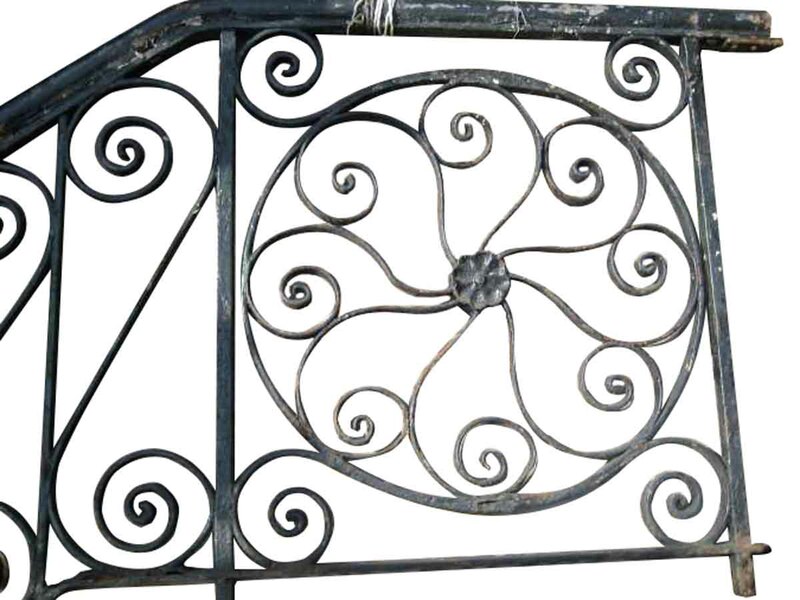 All of the iron is original and is hand wrought and turned with interesting details. 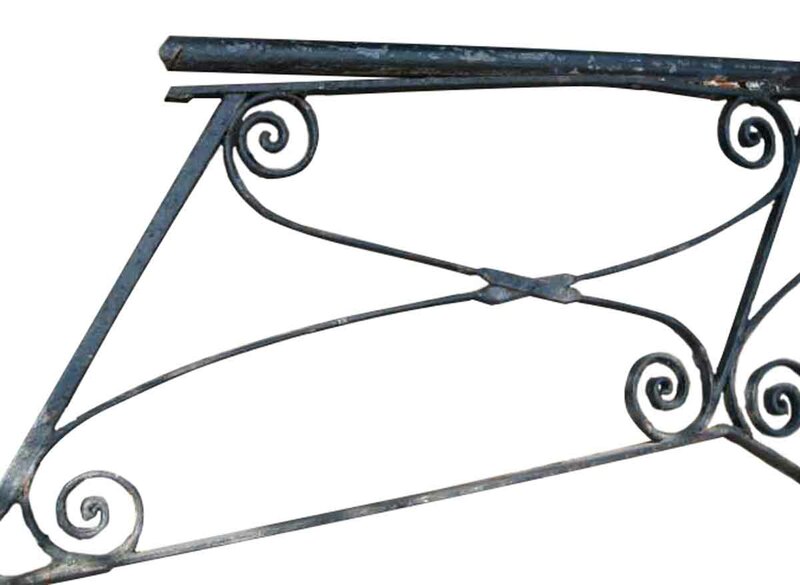 We have one pair of matching left and right railings. Sold as a pair.